The next phase of upheaval in the Winnipeg health region has begun, as consolidation aimed at streamlining services hits mental health services and the surgery program. "The expertise required for the delivery of specialty services has been spread too thinly throughout our region for too long," said Lori Lamont, acting chief operating officer of the Winnipeg Regional Health Authority. "This next wave of consolidation brings mental health resources together in concentrated areas, allowing us to bring patients with similar needs together in order to offer more streamlined care and less movement for patients who are already in distress." ​Mental health programs will be centralized at Health Sciences Centre Winnipeg, Victoria Hospital and St. Boniface Hospital by the end of 2018, Lamont said. Surgeries will be spread primarily among Grace Hospital, Concordia Hospital, HSC and St. Boniface. As a result of the changes, which are part of the second phase of the region's Healing our Health System plan first announced in April 2017, there will also be "labour adjustment activities," Lamont said. She and Karlee Blatz, regional director of labour relations for the WRHA, said no layoffs will be necessary. A total of 51 nurses in the mental health program will be given the chance to move from Grace and Seven Oaks hospitals to HSC and Victoria. There are 53 "opportunities" available at HSC and the Vic, health authority officials said in a news release. As for the surgery program, 90 nurses will move from Seven Oaks. To accommodate the consolidation, construction is underway at HSC to create more mental health treatment space in the emergency department. That should be ready by January 2019, Lamont said. As well, two new mental health units are in the final stages of construction at Victoria Hospital. "The efficiencies gained by consolidating the surgery program at these sites will mean that 73 new positions are required to provide the same high-quality care currently delivered to patients," Lamont said. "Between current vacancies and new and existing opportunities, there will be opportunities for any nurse who wishes to continue working in the system." In line with the overhaul plans, the health authority will also focus on improving efforts to match staffing at facilities across the region with the patient populations they serve, Lamont said. To that end, the region will update master rotations at all hospitals in order to align staffing levels and concentration of services with patient demand. These efforts will be complete before the end of 2019, she said. So far in the reorganization, three emergency departments have closed, with two converted to urgent care centres. At the same time, Misericordia Health Centre's 24-hour urgent care centre was closed and converted to a community intravenous therapy clinic. The change were recommended by Dr. David Peachey in a report called Provincial Clinical and Preventive Services Planning for Manitoba: Doing Things Differently and Better. It was commissioned by the former NDP government in 2015. The union representing nurses denounced those changes in Phase 1 and repeated the criticisms for Phase 2. 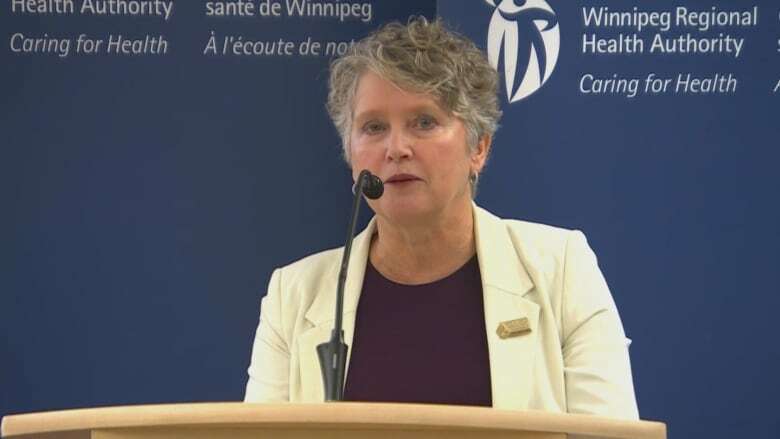 "As front-line professionals, nurses know that ongoing cuts and changes have not delivered the efficiencies promised by the [Winnipeg Regional Health Authority] and government, and have made it harder for them to deliver safe patient care," Manitoba Nurses Union president Darlene Jackson stated in a news release. "Phase 1 increased workload and overtime, especially at major facilities such as HSC and St. Boniface, where nurses are still working record amounts of mandatory overtime. Wait times have been higher ever since Phase 1 was introduced, and insufficient staffing and resources have made the situation worse." Manitoba Government and General Employees' Union president Michelle Gawronsky said in a statement the province has not consulted with workers providing care to patients and the WRHA has not followed through on its promise to restore hours for health care workers who saw their hours reduced during phase 1. The union points out 23 Victoria Hospital staff members are still laid off from phase 1 cuts. "For anyone who has been a patient in hospital or had a loved one in hospital, you know that high quality health care is delivered by a team — a team that includes health care aides, dietary staff, housekeeping, clerks and maintenance to name a few. But, for some reason, this government doesn't seem to want to recognize these members of the team for the valuable work they do for patients," Gawronsky wrote. The unions' concerns were echoed by Opposition Leader Wab Kinew. "This government unleashed total chaos when they brought in Phase 1 and that wasn't enough along with their plan to close hospitals, close ER's, they want to put more upheaval in the system which is going to mean worse health care for you because you're going to be cared for by nurses who are more tired and more stressed," he said. Kinew put the government's roll-out of the changes on blast, saying they're 'cherry picking' from the Peachey Report and its direction. "What the Peachey report recommended was to pursue consolidation but to reinvest, at the same time, in community health. This government has done nothing to add on the community health side," he said. He added that Winnipeg doesn't have the infrastructure to support fewer hospitals and consolidating services. "What we're getting with Pallister is fewer centres but they're not adding the beds. So there's not the bed space that's being added that would help clear the backlogs in the ER or the other waiting lists." In a statement, Health Minister Cameron Friesen said the consolidation of services will improve patient care and falls in line with the recommendations of experts like Peachey and Dr. Brian Rush, who authored a report on overhauling mental health and addiction services. "Mr. Kinew continues to fear-monger because it's politically expedient to do so. However, this is about better patient experience and better patient outcomes. The results show we're on the right path," Friesen said in the statement. Deteriorating working conditions threaten to increase sick time and stress leave and force nurses to consider relocating to other regions or provinces for work, said Jackson. "Phase 1 was widely disruptive for nurses throughout the region. It's time for this government to take a step back, and listen to nurses' concerns. In the meantime, we will continue to speak out against cuts and changes that jeopardize patient care."